Guess what? You’ve found it! At ABC Appliance Repair, we provide the highest quality service for all major home appliances. Our technicians work on refrigerators, dishwashers, ovens, ranges, washers, dryers, and more. We repair all the most common failures on all major and high-end brands. Have a Maytag washer repair need? We can help! Sub-Zero refrigerator repair in store? We do that too! 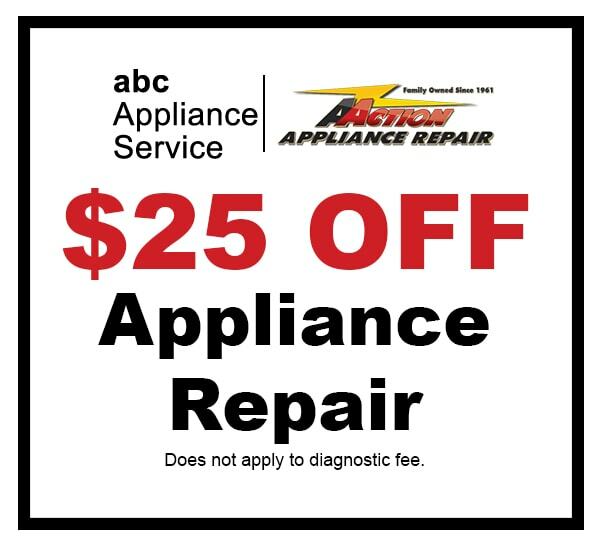 Contact us at ABC Appliance Service in West Hartford today. We’ll get your kitchen or laundry appliance back in working order in no time. When you hire ABC for your appliance repair West Hartford needs, you can be sure that you’ll receive top-notch customer service, fair rates, and quality work each and every time. Our technicians have years of experience in the field. Therefore, they’re able to fully inspect, diagnose, and repair your appliance with incredible accuracy. Tired of searching for a West Hartford appliance repair company that works on your brand? Then call ABC! We work on a huge list of major and high-end brands. Whether you need fast repair on your Whirlpool, KitchenAid, Jenn-Air, GE appliance, or quality service on a Dacor, Bosch, Wolf, or Sub-Zero, we can help. We take continuing education courses in order to stay up-to-date on the latest appliance technology. “ABC appliance came out to look at my 8 yr old counter depth GE refrigerator. As disappointed as I was about having a refrigerator that is not worth fixing, I really appreciated there knowledge and thorough explanation that he gave me. We know how frustrating it can be when your refrigerator isn’t cooling properly or your oven isn’t heating. That’s why we are committed to providing the best appliance repair West Hartford service possible. We have convenient appointment times available Monday through Saturday. ABC appliance repair techs work on all large home appliances. We service all types of refrigerators, dishwashers, ovens, ranges, washers, and dryers. Don’t see what you need in our service menu below? Then give us a call and we’ll find a solution for you! Schedule service for French-door, side-by-side, top/bottom freezer, column refrigerators, and ice-makers. Refrigerator Maintenance Tip: Clean refrigerator coils 1-2 times each year to prevent failures. Quality, fast repairs on all major dishwasher models from brands like Whirlpool, Maytag, Electrolux, Bosch, and many more. Dishwasher Maintenance Tip: Prevent water leaks with routine dishwasher door gasket cleanings. We offer the best repair on any oven type, such as wall ovens, double ovens, range ovens, gas or electric ovens. Oven Maintenance Tip: Try using natural ingredients like vinegar and baking soda to clean your oven. Affordable range repair service on slide-in, freestanding, gas, and electric ranges, as well as stoves and cooktops. Range Maintenance Tip: Avoid igniter failures by thoroughly wiping up spills as soon as possible. Call ABC for service on HE, traditional, top-load, and front-load washing machines from many different brands. Washer Maintenance Tip: Avoid mold and mildew in your washer by wiping down the rubber door gasket. Affordable, quality dryer repair West Hartford service on gas or electric dryers, as well as stacked washer/dryer combos. Dryer Maintenance Tip: Improve dryer efficiency and avoid fires with regular vent cleanings.